DJ, Producer, Label owner, freelance music journalist whose wealth of experience has resulted in DJ’ing at events globally including across Europe and the USA. Not only playing alongside some of the biggest names in the industry, but gaining their support with his music; Mark Knight, Green Velvet, Tensnake, Sasha, Hot Since 82, Robert Owens, Nicole Moudaber all providing their support during the last 12 months. 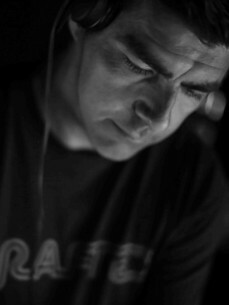 His Krafted brand regularly hosts events at Ministry of Sound, Egg and one off events in Los Angeles. Cited by Mixmag as ‘a Dj to look out for’ and one of the UK’s top residents by DJ Magazine, as well as numerous mentions in the music press, Paul also regularly reviews music for Ushuaia's IUMAG (Ibiza), DMC World Magazine and writes feature articles for Zone Magazine. Paul is also the A & R Director at New York's Frisky Radio and has had releases on Steyoyoke, Pure Progressive, Toolroom, Armada, Juicy Traxx, Suffused Music, Pro B Tech Music and Balkan Connection.